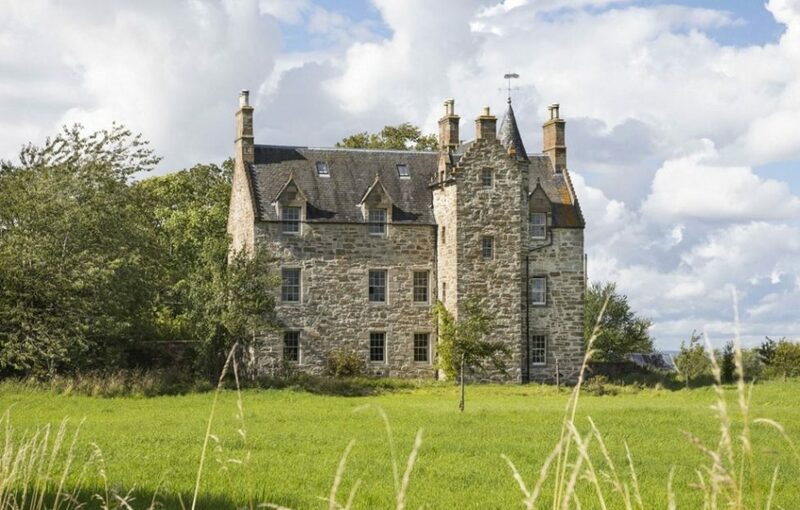 Spectacular historic castle set in sweeping grounds bordered by the River Almond is now for sale. 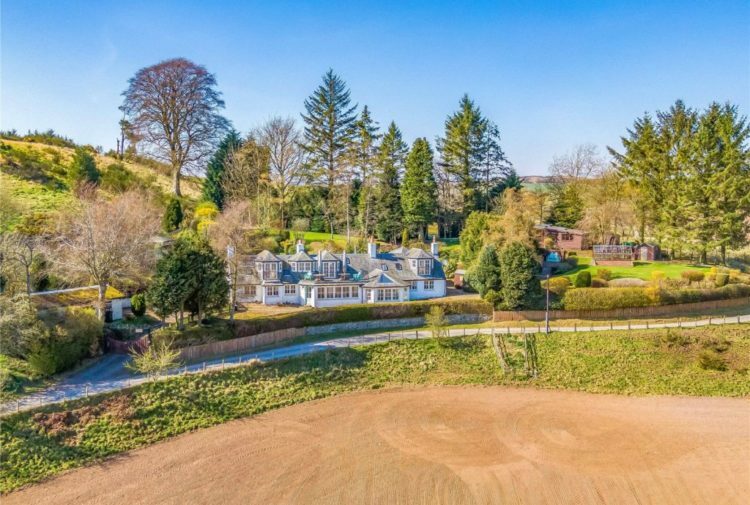 Presented to the market by Savills, Illieston Castle in Broxburn, West Lothian is approached down a tree lined avenue, with a pair of intricate baroque gates opening onto a gravelled courtyard. The warm rubble construction of the property is complemented by crow stepped gables. The large wood front door opens into a large vestibule, with internal glass door opening into a welcoming hall. 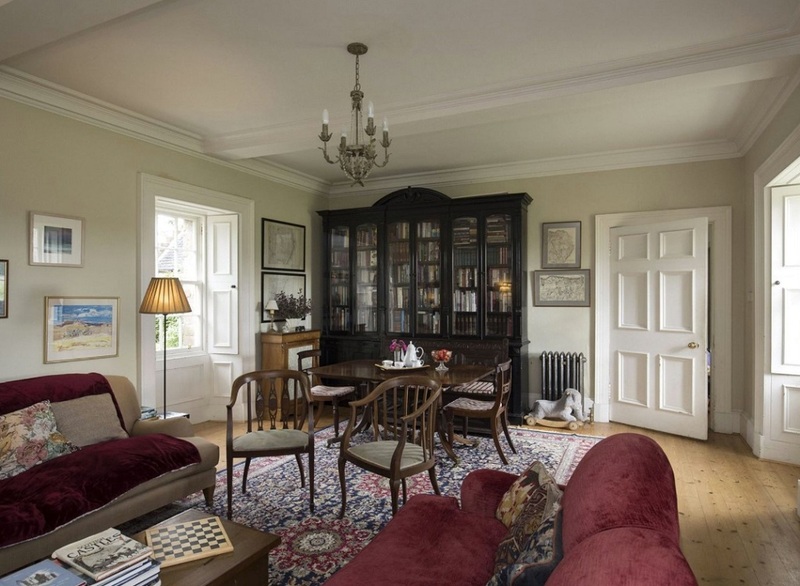 There is a spacious dining room to the right, which contains a plethora of original features and is full of character. A multi fuel stove is set within a fireplace, with adjacent linen press. The room is lit by dual aspect windows, one looking out over the courtyard, with the remaining two facing south over the rear garden with views over the River Almond and to the mature woodland on the southern bank. 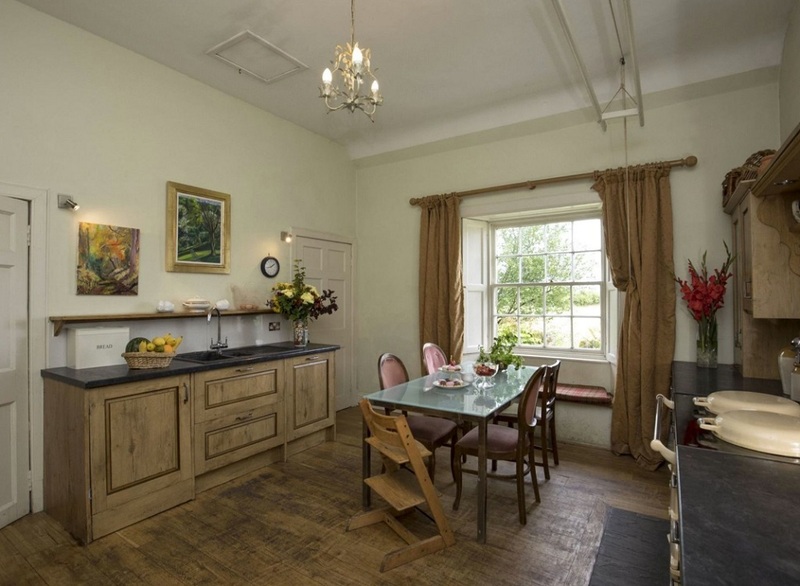 To the left of the hall is a cloakroom with WC, access to the sitting room, which could be used as a snug or dining room, and a large kitchen with dining space. Within the kitchen there is a two oven cream AGA and fitted base units. From the kitchen, both a large utility room and back porch can be accessed. From the hall a stone spiral staircase leads up to the first floor where the master bedroom / 1st floor drawing room or ?The King’s Room’ is located. Also on the first floor is a bathroom and another double bedroom. This floor is currently let out on Airbnb, proving to be a very popular and successful offering. There are fantastic southerly views over the River Almond and surrounding open countryside. The King’s Room has recently been renovated and offers fantastic views to the south over the open countryside. The spiral staircase continues up to the second floor where three bedrooms are located. There is a family bathroom with bath, WC and two basins. The two bedrooms at either end of the upper landing are lit by dual aspect windows, providing stunning views to the Pentland Hills. 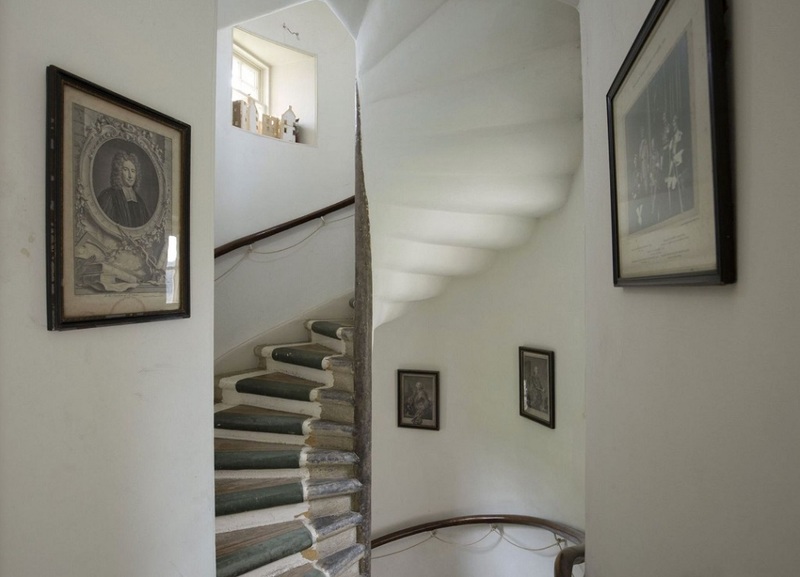 There is a secondary spiral staircase which leads up to a small turret room, currently used as a study and spare bedroom. One attic has been used as a playroom/model room. There is a second larger one. Adjacent to the kitchen and utility room is a recent boiler house with log store extension which connects to the original East Pavilion. This forms the east wall of the courtyard. 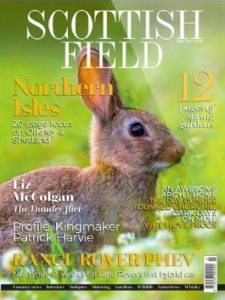 To the west of the courtyard is an area of lawn with kitchen garden and two outbuildings; a bothy ?Garden Studio’ and garden shed. 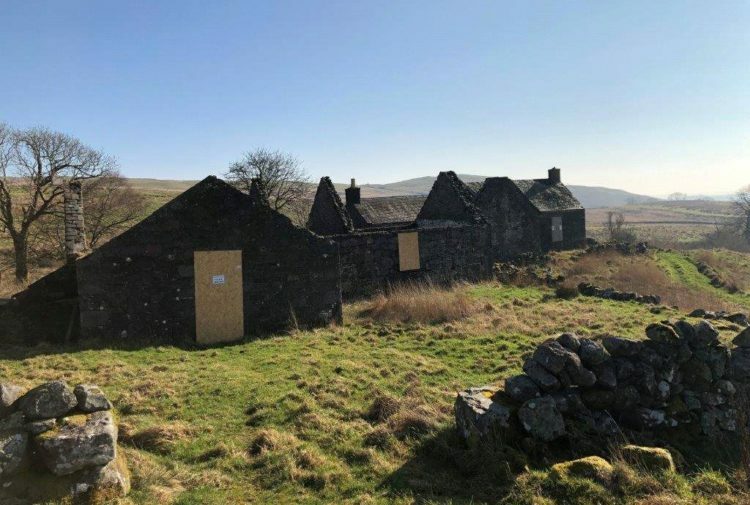 The Bothy has been transformed into a very successful self-contained accommodation, which is also let out on Airbnb. There is a stone wall to the west, providing shelter and a boundary for the garden. Willow fencing surrounds the north east and west boundaries of the property, creating a buffer of garden from the open fields and countryside. In addition to the space to park in front of the courtyard, there is additional space for multiple vehicles to park to the west of the Coach House. 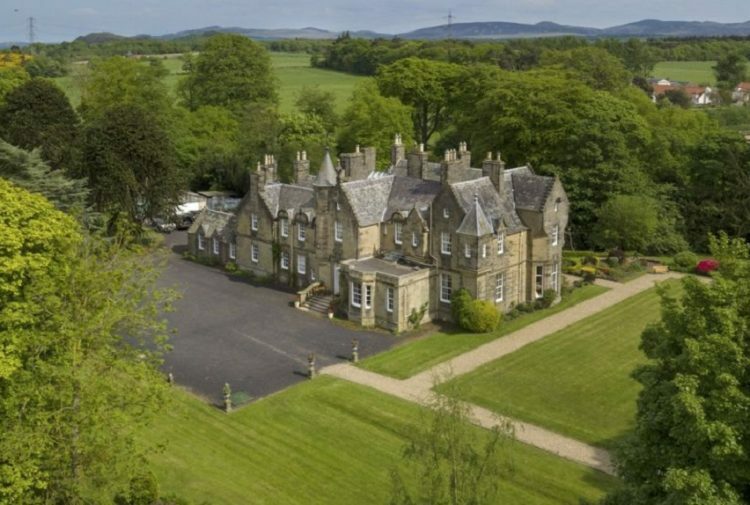 Two paddocks and surrounding open land of around 18.64 acres start either side of the tree-lined avenue approaching the property, and continue down to the banks of the River Almond, in which Illieston Castle enjoy the right to fish. The river offers salmon, trout and sea trout fishing. Illieston Castle is thought to date back to the late 15th or early 16th century, when it served as the Royal hunting seat of the kings of Scotland – most notably James II and James IV. The lands of Illieston have been mentioned as far back as the 1200s and the Roman name Halistonium was once used. The Hamilton name has long been associated with Illieston, after Lord Hamilton was given the lands and house as reward for releasing the Earl of Menteith from capture at Pontyfract Castle. The Hamilton family became the owners of Illieston once again in 1693 when they bought back the estate from leading advocate John Ellis who had carried out major alterations at the tower house in the 1660s, including the construction of the elegant gateway engraved with his initials. The Hamiltons owned the property and land until 1765 when ownership passed over to the Earl of Hopetoun, and further renovations were carried out in the late 1850s under supervision of the notable architect William Burn. In 1950 the property was acquired by the Brownlee family who still farm the land surrounding Illieston today. The main building has since been gradually restored and upgraded over the last nine years by the current owners, making it entirely suitable for modern living. 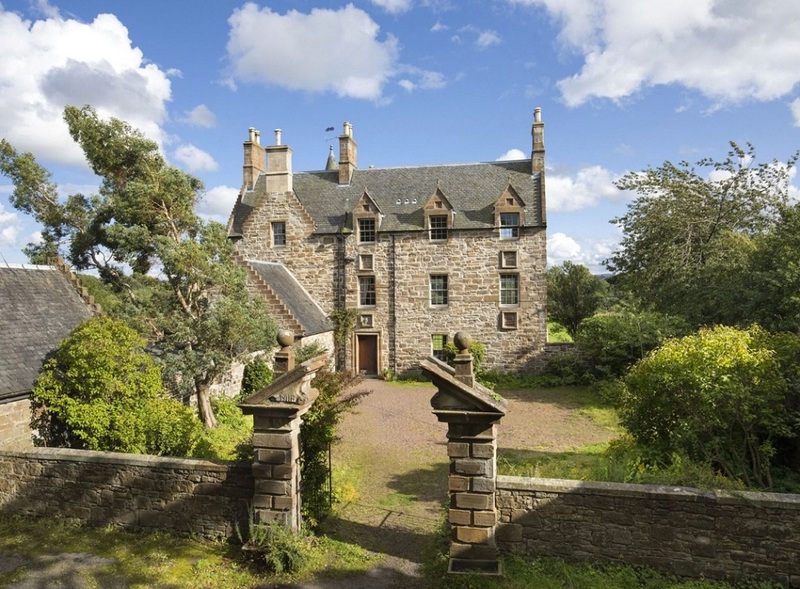 The agents will consider offers over £950,000.